What do burger buns, plain bread and fluffy idlies have in common? You just can’t eat them without fun side-dishes like sauce, jam or chutney. Life without a fun side is just as bland as plain bread. Instead of pushing through life just for the sake of existing, live it up with a daily dose of fun. And get this daily serving through Put Chutney-YuppTV Bazaar. It’s simple – when in doubt, Put Chutney. Looking at the lighter side of things may not make your troubles vanish; but it will definitely cheer you up, enough to help you deal with your issues with a better frame of mind. It’s not fun alone here – there’s a galore of information in these videos. Learn facts you’ve never even considered before. 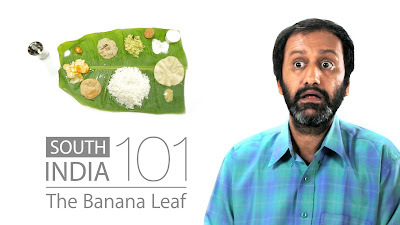 Do you know the art and science of eating on a banana leaf? Have you ever seen an autobiography of a Chennai Tea Stall? Do you know what Batman’s name would have been if he wore a Lungi? And what if this Lungi-clad Batman was from scintillating Chennai? What if the Avengers were from South India? What is it like to be a HR manager? Take a deep breath and get into a yoga class. Get a free tutorial of Dappangkuthu, the death-defining dance of Tamil Nadu. Find out more about Chennai’s love for anything road-side with the Put chutney series of road-side stories. Get into the skin of Chennai and Chennaiites with these soulfully enlightening videos and feel the heat of the city and learn its idiosyncrasies. And you’ll realize that this chutney is not just for Chennai’s idly, vada or dosa; it tastes good with burger and bread too. These videos show Chennai’s quirks, but these moods and eccentricities are common to cities across the world. Talking of eccentric, don’t miss watching the Funny Life-cycle of a Software Engineer video.